Ready to learn how to fly? You’ve come to the right place! One of the benefits of being a member of the Patuxent Aeromodelers is the help you can receive from a flight instructor. Anyone who flies will tell you that “It’s not as easy as it looks”, and you should not try to learn on your own. However, with proper guidance, you’ll be flying on your own in no time! When you are ready to fly, or even if you are still getting your aircraft together, feel free to contact an instructor for advice, guidance, or actual instruction. Note that this is a list of volunteers who have “stepped forward” to be listed on the instructors list. Those listed are considered “qualfied” to instruct as considered by concensus of the other instructors. As a student, you are encouraged to visit the flying field and talk to a couple of instructors and/or students and pick someone whom you are comfortable with. Instructors vary in their teaching style, so if you aren’t comfortable with one, get instruction from another. It is perfectly acceptable to get instruction from multiple instructors or to switch instructors if you are not comfortable with the way that a particular instructor teaches. 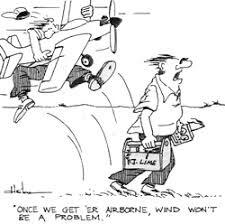 Instruction is “free” and considered a benefit of membership in the Patuxent Aeromodelers club. You should be aware that with free, volunteer based instruction, the instructor carries no liability in the case of a crash. Some instructors may even request that you sign a release of liability. 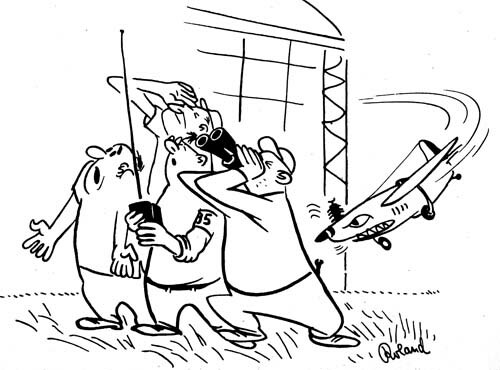 Obviously, the instructor is there to prevent you from getting the aircraft in a situation that may cause a crash, but crashes are an accepted and understood reality in the hobby and some situations are not recoverable no matter how good the pilot. Again, if you are uncomfortable with an instructor, it is your responsibility to choose another to prevent creating a bad situation. Having said all that, I hope you aren’t scared off! This is a great hobby and most of those who begin their instruction finish without major incident and continue to enjoy the hobby on their own. Compare this to those who try to learn on their own and are almost certain to crash their aircraft, become frustrated and probably never learn to fly. So find and instructor and get in the air soon! Good luck! Students, please download our Student Handbook. Thanks to Chris Martin, Ben Bobbit, Al Burton, and Chad Fromme for their efforts on putting together the handbook. AMA Introduction to Aeromodeling – Great Info for New AeroModelers! If you are interested in becoming an instructor, please contact an exisiting instructor. You will need to meet certain minimum requirements and become familiar with the instruction program before becoming a qualified instructor and being listed on the instructor list. If you are interested, please step forward! We can never have too many instructors!